Happy Friday!! What a week this was- work was insane, I took care of some things that I've been putting of for years (that really took a weight off my back), and kept on with my running streak! I'm really looking forward to this weekend, because Dan and I have some fun plans to spend a bunch of time outside hiking and kayaking, and will be getting ready for some exciting plans next week. 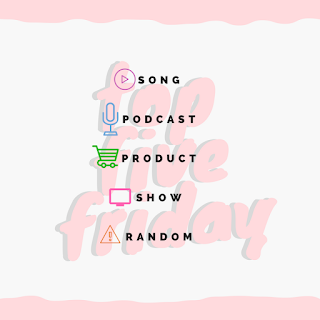 I'll share what we're up to next Friday, but for now I'm going to be sharing my favorites from the week! A few weeks ago, I went to Vine Rewind at the Pittsburgh Winery, and got to listen to some great musicians. One of them stuck out to me, and I haven't been able to stop listening to her ever since! Jasmine Tate has such an amazing, interesting voice, and her songs are beautiful. I really enjoyed listening to her sing live (the entire band was just electric), so if you ever see her performing around the Burgh, check her out! I've talked about this podcast a lot in the past, but I just had to plug it again this week! Last weekend was the annual CrossFit Games competition. Joy and Claire (the podcast hosts) both went to the Games, so it's been great to hear their take from behind the scenes, and to hear them discuss the results. 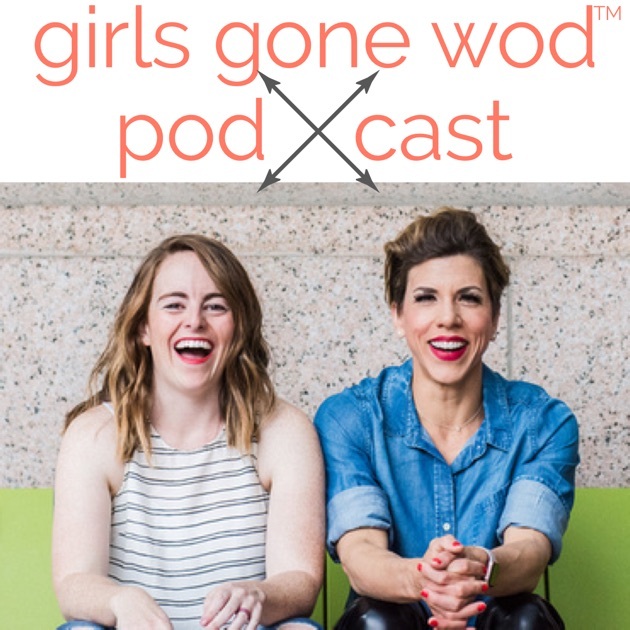 Even though I don't do CrossFit, I love this podcast and would recommend it to anyone- females, males, CrossFitters, or just regular ol' people. A new season of training for a half marathon means time to get new shoes! It's been so long since I replaced my shoes (way too long if we're being honest), so I was excited to try out some new styles. Pretty much every time I order a new pair, I order two- one for shorter distances and one for longer. I decided to stick with a model that has been working out really well for me- Kinvara 8- for shorter distances (in a flashy print that I'm obsessed with) and a different pair- Ride 9- for longer distances. So far I'm loving both of them, and will definitely keep you all updated as my training continues. Big Brother : This season is NUTS guys. It started out pretty tame, but it's been fireworks all over the place ever since Cody came back into the game. I'm not sure if there are any players that I actually like that much, because everyone's pretty much bullying everyone else then crying when they get bullied in return. Kevin still cracks me up, so he might be my favorite, but he never does well in competitions! America's Got Talent : On the other hand, this might be the worst season I've ever seen of AGT. Not only are most of the acts that made it to live shows singers (including all but ONE of the golden buzzers), but the other acts just aren't that good. I feel like the producers are really pushing for one the many, many kids singers to win but fluffing up their "competition" with gimmicky acts (hello, Dancing Trump and Mirror Image- although I will vote for MI because they're from Pittsburgh). I'm so frustrated!! World of Dance : There's been a lot of debates and arguments about the finale, and while I don't think the right dancer(s) won, I really liked the show! There were so many amazing acts and different styles showcased, and I really enjoyed it. All six of the final dances were amazing, so I could have made a case for any of them winning. Apparently the show got renewed for another season, and I know I'll be watching. To be honest, I have not been reading lately. I blame that mostly on the fact that I just found out that you can download episodes of shows using Netflix's app, so instead of reading on my bus commute I'm watching TV. #guilty. I want to snap out of that, so I was excited to see an amazing looking reading list for the summer on the Modern Mrs Darcy blog. I haven't read anything on the list, and everything sounds so good! I especially like how the list is organized into categories, and I'm going to try to make my way through the list by the end of the year. If anyone's read any books on the list and has suggestions on what to get started with- please let me know!! I think Sauconys are going to be my next running shoe! I tried a pair on a couple years ago, but ended up going with a different brand. I remember them being super comfortable! Saucony's are so pretty, but they just don't fit my feet. Then again, right now my feet are swelling, so they just might! I've always worn Saucony's before I really got into running and I loved them for walking but when it was time to get running shoes they felt too "heavy" for me. But that was years ago. I am now a Mizuno fan! Vine rewind sounds fun. Such a clever name for an event. Love how the Mrs. Darcy blog organizes her list. I just finished The Couple Next Door and literally couldn't put it down. Other great reads this summer if you like the mystery type are The Husband's Secret and The Hand that Feeds You. I feel the same way about Kevin as you. He is my favorite right now, but I don't see him making it all the way to the end. Jasmine Tate has one of those voices that you can't stop listening to. I hope you have a great weekend. I loved World of Dance - it's fun to watch such incredible dancers, and aww...I really love the dancer(s) that won! I would have loved to see the Kinjaz in the finale though. I never really watched America's Got Talent, but I'm really enjoying it this summer. I'm in need of some new running shoes so I think I need to test those out! My biggest issue is that I run and walk on really hard terrain (and lots of hills up and down) so I wear the soles out of my shoes really quickly!